Opposition to U.S. energy expansion has been growing, despite American fracking driving world energy prices down by 60%. 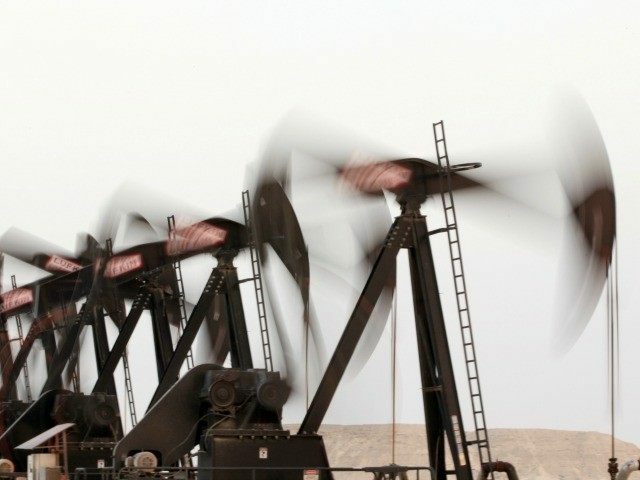 But Senator Ted Cruz (R-Texas) and Representative Jim Bridenstine (R-OK) are taking a leadership role by introducing a 14 point ‘American Energy Renaissance Act’ to remove federal impediments to energy exploration, development, and export. Leave regulation of hydraulic fracturing in state hands. With only a minority (39 percent) of the public supporting increased use of fracking versus 51 percent opposing increases, liberals want to nationalize the approval process for political purposes. Streamline permitting process for upgrading existing and building new refineries. The number of U.S. refineries was cut by two thirds over the last 40 years, and most are on coasts to process imported oil. Liberals are using low refining capacity to limit the expansion of fracking. Phase out and repeal the Renewable Fuel Standard (RFS) over five years. Everyone knows that ethanol is a price support and has doubled the price of corn. Ethanol will never be commercially viable without massive subsidy. Immediately approve and allow the private sector to build the Keystone pipeline. The State Department is dragging its heels before denying the permit during next year’s election cycle. The most powerful opponents of the XL Pipeline are oil importers that cannot compete against the low cost of North American crude oil. Exclude greenhouse gases from regulation by the EPA and federal agencies. The American public by a majority of 72 percent to 25 percent believe the earth is warming. About 57 percent of Americans believe it is caused by man. This is liberals’ strongest issue. Stop EPA regulations that will adversely impact coal and electric power plants. Coal use is falling fast because domestic natural gas is much more economically competitive and environmentally attractive. President Obama promised to bankrupt coal in his 2008 campaign, but fracking is the reason many coal plants are closing. Require Congressional approval of EPA regulations that cost jobs. As liberals’ best national issue, there is no bipartisan support for restricting EPA. Expand energy development on federal lands by providing states the option of leasing, permitting, and regulating energy resources on federal lands within their borders. Local control of federal lands is always popular to the public. A majority of Americans support off-shore oil drilling by 52 percent to 44 percent opposed. Streamlining permitting and expanding development on federal lands by requiring decisions regarding drilling permit applications to be made within 30 days. Highly unrealistic, but the public does not like federal delays. Expand energy development in the National Petroleum Reserve in Alaska. The Bureau of Land Management approved Greater Mooses’ Tooth Unit Oil and Gas Development Project in Alaska on February 15. Obama Administration is beginning to relent on approvals for extraction industries of federal lands. Open up the ANWAR Coastal Plain of Alaska for development. The latest Gallup poll indicates that 78 percent of the Alaska public and 100 percent of Alaska bipartisan elected officials support exploration. This will happen in the next 5 years. Expand LNG exports by facilitating permits. Department of Energy has approved nine of about 30 export permits to “non-Free Trade Agreement” countries. The approvals are already accelerating. End the crude oil export ban. Exports have already increased. More permits are estimated to quickly increase domestic oil production by up to 500,000 barrels a day. But increasing exports is not popular with the public. Direct all additional revenues generated by exploration and drilling on federal lands (excluding the share allocated to the states) exclusively to national debt reduction. The top 20 oil and industries have a high statutory tax rate, but get to defer payment of the accrued federal taxes. When the deferred taxes are subtracted from the amount these 20 companies owe, their average “current” tax rate drops to 11.7 percent. Republicans have generally feared being 100 percent pro-domestic-energy. Senator Ted Cruz has adopted a challenging strategy if he wants to run nationally for president. But if cheap American domestic energy causes the expected manufacturing renaissance, Cruz will benefit tremendously as America’s biggest energy advocate. Click here for complete bill text: American Energy Renaissance Act.